Looking for inspiration for tiles in an upcoming reno or new build project. Here are some of the hottest 2018 tile trends to pin into your project folder! We love this trend. Bring some geometric pattern and interest into any space with geometric cement tiles. Choose from black or white and muted colours it can provide a lovely statement to any room. We see geometric cement tiles being used in the kitchens, bathrooms and mudrooms. 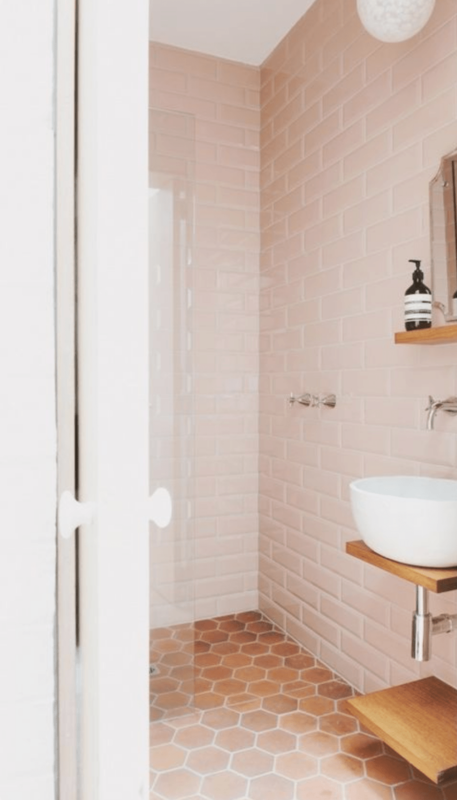 Terra-cotta tiles are a natural, rustic tile that is making a comeback—this time it’s used in more modern and unexpected ways like in a large hexagon format or mixed with pastel tones. Looking for something different? Terrazzo tiles make a dynamic statement in a kitchen or statement wall around a fireplace or main floor powder room. This trend is sure to turn heads. Thanks to at www.mydomaine.com for 2018 tile trends and insights!